Barnes, A., Gray, J. & Tully, E. C. (March, 2019). Associations between Maternal Affect Displays and Attention Bias in Children. Poster presented at the annual convention of the Southeastern Psychological Association, Atlanta, GA.
Buote, K. A., Guzman, E. & Tully, E. C. (March, 2019). Correlates of Reparative Behavior and Interpersonal Guilt Behavior in Children. Poster presented at the annual convention of the Southeastern Psychological Association, Atlanta, GA.
Dominguez, C. P., Thurman, T. & Tully, E. C. (March, 2019). Parents’ Depression is Associated with Low Empathy in Children with Internalizing Problems. Poster presented at the annual convention of the Southeastern Psychological Association, Atlanta, GA.
Ames-Sikora, A. M., Lefrancois-Gijzen, E., Abdi, W., Dishman, M., Tully, E. C. (November, 2018). Rigidity of Mothers’ Emotion Expressions during Parent-Child Interactions in Relation to Mothers’ Depression. Poster presented at the annual convention of the Association of Behavioral and Cognitive Therapies, Washington, D.C.
Ames-Sikora, A. M., Buote, K., A., Christopher, A., Tully, E. C. (November, 2018). Remorse is Associated with Self-Blame for Mothers’ Sadness when Mothers are Over-Reactive. Poster presented at the annual convention of the Association of Behavioral and Cognitive Therapies, Washington, D.C.
Goyer, M. S., Garcia, S. E., Tully, E. C. (November, 2018). Interpreting Happy Facial Expressions and Risk for Internalizing Problems in Young Children. Poster presented at the annual convention of the Association of Behavioral and Cognitive Therapies, Washington, D.C.
Goyer, M. S., Lefrancois-Gijzen, E. A., Tully, E. C. (May, 2018). Cognitive and Physiological Measures of Emotion Reactivity are Correlated in Young Children. Poster presented at the annual convention of the American Psychological Society, San Francisco, CA. Garcia, S. E., & Tully, E. C. (April, 2017). Discernment Accuracy for Sad and Angry Facial Expressions and Socially Inhibited Behavior in Middle Childhood. Poster presented at the biennial convention of the Society for Research in Child Development, Austin, TX. Garcia, S. E., & Tully, E. C. (April, 2017). Facial Affect Discernment Accuracy for Expressions of Varied Intensity in Middle Childhood. Poster presented at the biennial convention of the Society for Research in Child Development, Austin, TX. Donohue, M. R., Tully, E. C., Williamson, R. A. (April, 2017). Toddlers’ Prosocial Responses: The Role of Context. Poster presented at the biennial convention of the Society for Research in Child Development, Austin, TX. Ames-Sikora, A., Green, J., Donohue, M. R., & Tully, E. C. (April, 2017). Self-Blame for Mother’s Sadness Moderates the Association between Mothers’ Depression and Young Children’s Withdrawn Behavior. Poster presented at the biennial convention of the Society for Research in Child Development, Austin, TX. Green, J., Vogt. S. E., Taiwo, F., & Tully, E. C. (March, 2017). Child-Perceived Maternal Depression Moderates Association between Empathy and Aggression. Poster presented at the annual convention of the Southeastern Psychological Association, Atlanta, GA.
Booher, C. E., Buote, K., & Tully, E. C. (March, 2017). Attention Bias as a Predictor of Depression in Preschool Aged Children. Poster presented at the annual convention of the Southeastern Psychological Association, Atlanta, GA.
Johnson, D. J., Garcia, S. E., & Tully, E. C. (March, 2017). Emerging Adults’ Empathy and its Association with Parents’ Depression. Poster presented at the annual convention of the Southeastern Psychological Association, Atlanta, GA.
Vogt, S. E., Gray, J. M., Donohue, M. R., & Tully, E. C. (September, 2016). High and Low Heart Rate Variability are Associated with Negative Attributional Style. Poster presented at the Society for Psychophysiological Research annual meeting. Minneapolis, MN. Gray, J. M., Garcia, S. E., & Tully, E. C. (September, 2016). Heart Rate Variability’s Association with Behavioral Measures of Emotion Regulation. Poster presented at the Society for Psychophysiological Research annual meeting. Minneapolis, MN. Gray, J. M., & Tully, E. C. (August, 2016). Cognitive Reappraisal Moderates the Quadratic Association between Heart Rate Variability and Negative Affectivity. Poster presented at the annual convention of the American Psychological Association. Denver, CO.
Kim, Y., Donohue, M. R., & Tully, E. C. (November, 2015). Mothers’ Depression Predicts Children’s Social and Internalizing Problems through Low Family Cohesion. Poster presented at the annual convention of the Association for Behavioral and Cognitive Therapies. Chicago, IL. Ames, A. M., & Tully, E. C. (September, 2015). Depression and Empathic Perspective-Taking Predict Emotion-Modulating Startle Reactivity. Poster presentation at the Society for Psychophysiological Research annual meeting. Seattle, WA. Vogt, S. A., Arnold, B. L., Ames, A. M., Donohue, M. R. & Tully, E. C. (October, 2015). Associations between Positive and Negative Affect and Emotion Regulation Strategies. Poster presentation at the Society for the Study of Emerging Adulthood biennial conference. Miami, FL. Barranco, J., Guiterrez, M., Kennedy, J., Ames, A. M., & Tully, E. C. (October, 2015). Depression in young Adults is Associated with both High and Low Co-rumination. Poster presentation at the Society for the Study of Emerging Adulthood biennial conference. Miami, FL. Kennedy, J., Barranco, J., Garcia, S. & Tully, E. C. (April, 2015). Poor Emotional Regulation is Associated with Greater Engagement with Angry Photos in Children. Poster presentation at the Anxiety and Depression Association of America Annual Conference, Miami, FL. Gray, J., Donohue, M. R., Gardner, C., & Tully, E. C. (March, 2015). Young Children’s Perceptions of More Depression in Their Mothers’ Predicts Girls’ but not Boys’ Poorer Self-Image. Society for Research in Child Development Biennial Meeting, Philadelphia, PA.
Donohue, M. R., Williamson, R. A., & Tully, Erin C. (March, 2015). Toddlers’ Imitation of a Reparative Prosocial Act. Society for Research in Child Development Biennial Meeting, Philadelphia, PA. Selected for “Poster Session with Reception: Focusing on the Strategic Plan”. Donohue, M. R., Gutierrez, M., Arnold, B., & Tully, Erin C. (March, 2015). Gender Moderates the Association Between Children’s Self-blame for Their Mother’s Sadness and Children’s Withdrawal and Aggression. Society for Research in Child Development Biennial Meeting, Philadelphia, PA.
Garcia, S. E., Schmidt, S. M., Tone, E. B., & Tully, E. C. (November, 2014). Associations between Attentional Bias for Sad Faces and Depression Moderated by Attentional Bias for Happy Faces. Poster presentation at the annual convention of the Association for Behavioral and Cognitive Therapies, Philadelphia, PA.
Ames, A. A. & Tully, E. C. (November, 2014). Curvilinear Association between Affective Empathy and Depression: Moderated by Emotional and Cognitive Dysregulation? 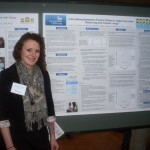 Poster presentation at the annual convention of the Association for Behavioral and Cognitive Therapies, Philadelphia, PA.
Donohue, M. R. & Tully, E. C. (November, 2014). Quadratic Associations between Mother’s Parenting and Children’s Reparative Behaviors. 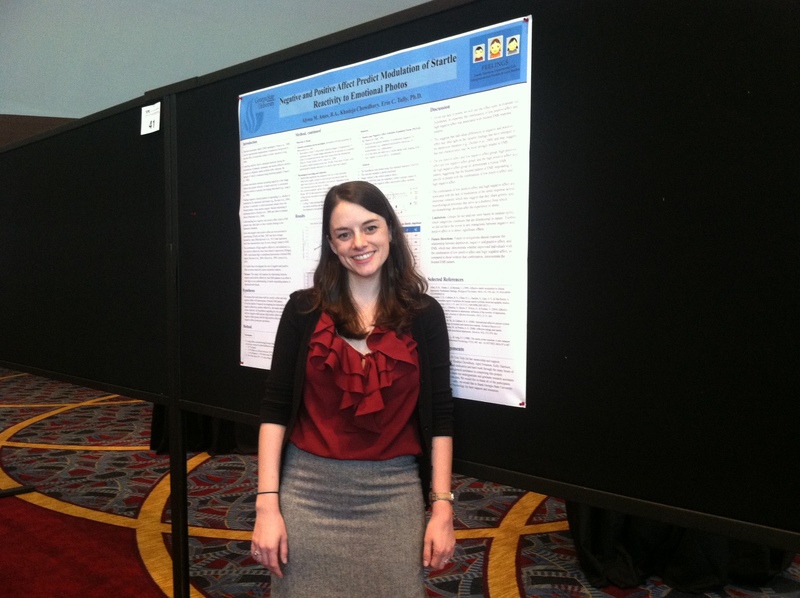 Poster presented at the SRCD Special Topic Meeting: New Conceptualizations in the Study of Parenting-At-Risk. San Diego, CA. Harrison, K. E., Ames, A. M., Tully, E. C. (September, 2014). Mindfulness Predicts Startle Reactivity to Affective Pictures. Poster presented at the Society for Psychophysiological Research annual meeting. Atlanta, GA.
Ames, A. M., Chowdhury, K., Tully E. C. (September, 2014). Negative and Positive Affect Predict Modulation of Startle Reactivity to Emotional Photos. Poster presented at the Society for Psychophysiological Research annual meeting. Atlanta, GA.
Gardner, C., Garcia, S., Arnold, B., Tully, E. C. (May, 2014). Young African American Girls’ Preferences for White Female Dolls. Georgia Psychological Association Annual Meetings, Athens, GA.
Arnold, B., Gardner, C., Garcia, S., & Tully, E. C. (March, 2014). Young Children’s Positive Self-Perceptions and their Behaviors after Wrongdoings. Poster presented the annual convention of the Southeastern Psychological Association, Nashville, TN. Garcia, S.E., Tully, E. C., Tarantio, N., South, S., Iacono, W. G., & McGue, M. (November, 2013). Shifts in Genetic and Environmental Influences on Trait Anxiety across Adolescence and Early Adulthood. 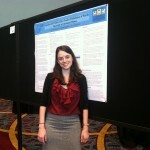 Poster presentation at the annual convention of the Association for Behavioral and Cognitive Therapies, Nashville, TN. Donohue, M. R. & Tully, E. C. (November, 2013). Children’s Perceptions of Mother’s Emotions Predict Internalizing Problems via Social Behavior. Poster presentation at the annual convention of the Association for Behavioral and Cognitive Therapies, Nashville, TN. Ames, A. M. & Tully, E. C. (November, 2013). The Effect of Relationship Satisfaction on Depression and Social Anxiety in a Young Adult Sample. Poster presentation at the annual convention of the Association for Behavioral and Cognitive Therapies, Nashville, TN. Donohue, M. R., Tully, E. C., & Williamson, R. W. (April, 2013). Two-Year-Olds’ Social Learning of a Prosocial Act. Poster presentation at the Society for Research in Child Development Biennial Meeting. Seattle, WA. Ames, A. M. & Tully, E. C. (March, 2013). Empathy’s Relation to Negative and Positive Affect in Young Adults. Poster presentation at the annual convention of the Southeastern Psychological Association. Atlanta, GA.
Garcia, S. & Tully, E. C. (March, 2013). Prosocial and Empathic Tendencies and Internalizing Problems in Young Children. Paper presentation at the annual convention of the Southeastern Psychological Association. Atlanta, GA. Awarded first place for graduate student research. Nipper, T., Garcia, S., & Tully, E. C. (March, 2013). Prosocial and Empathetic Responses to Depressed and Nondepressed Mothers. Poster presentation at the annual convention of the Southeastern Psychological Association. Atlanta, GA.
Belen, D., Voyles, K. M., & Tully, E. C. (March, 2013). Reappraisal and Suppression Strategies’ Relations to Depression in Young Adults. Poster presentation at the annual convention of the Southeastern Psychological Association (CEPO). Atlanta, GA.
Donohue, M. R., Garcia, S. E., Tully, E. C., & Williamson, R. A. (November, 2012). Associations between Maternal Negative Affect on Young Children’s Social Learning. Poster presentation at the annual convention of the Association for Behavioral and Cognitive Therapies, National Harbor, MD. Garcia, S. E., & Tully, E. C. (November, 2012). Associations between Negative Cognitive Processes and Caring Orientation in Young Children of Depressed and Nondepressed Mothers. Poster presentation at the annual convention of the Association for Behavioral and Cognitive Therapies, National Harbor, MD. Donohue, M. & Tully, E. C. (April, 2012). Young Children’s Emotion Regulation and Recall of Mother’s Emotions. Poster presented at the annual meeting of the Southeastern Psychological Association, New Orleans, LA. Tully, E. C., Vaidyanathan, U., DeMesy, C., Malone, S., & Iacono, W. G. (September, 2011). Affect Modulation of the Startle Blink Response and Depression in Women: Number of Episodes, Age of Onset, and Comorbid Anxiety. Symposium presented at the annual meeting for the Society for Research in Psychopathology. Thurman, T., Buote, K., Guzman, E., Gray, J. M., Tully, E. C. (April, 2019). Children’s Sustained Physiological Reactivity to Other Children’s Sadness and their Interpersonal Guilt. 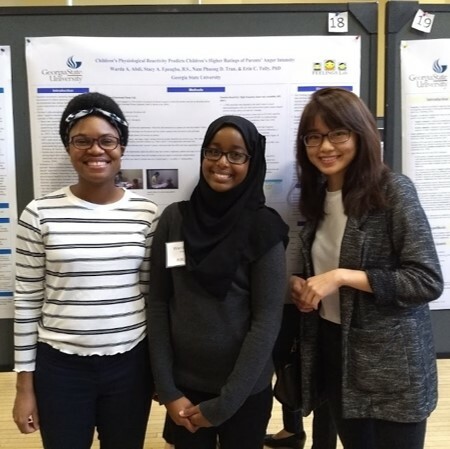 Poster presented at the Georgia State Undergraduate Research Conference, Atlanta, GA.
Tran, N. P. D., Abdi, W. A., Gray, J. M., Tully, E. C. (April, 2019). Children’s Physiological Reactivity to Other Children’s Sadness and their Tendency to Worry. Poster presented at the Georgia State Undergraduate Research Conference, Atlanta, GA.
Tanner, T., Dominguez, C., Buote, K., Tully, E. C. (October, 2018). High Parental Depression Correlated with Children’s Lower Empathic Reactivity. Poster presented at the Psychology Undergraduate Research Conference at GSU, Atlanta, GA.
Abdi, W. A., Epeagba, S. A., Tran, N. P. D., & Tully, E. C. (October, 2018). Children’s Physiological Reactivity Predicts Children’s Higher Ratings of Parents’ Anger Intensity. Poster presented at the Psychology Undergraduate Research Conference at GSU, Atlanta, GA.
Jones, C. L., Ruffin, N. N., Gray, J. M. & Tully, E. C. (October, 2018). How Do You Feel? : Young Children’s Ability to Self-Report their Depression Validly. 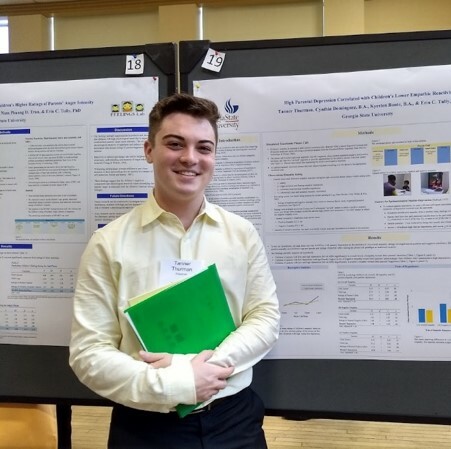 Poster presented at the Psychology Undergraduate Research Conference at GSU, Atlanta, GA.
Buote, K., A., Christopher, A., Ames-Sikora, A. M. & Tully, E. C. (April, 2018). Children’s Remorse is Maladaptive in the Context of Mother’s Over-Reactive Discipline. Oral presentation at the Georgia Undergraduate Research in Psychology Conference. Kennesaw, GA.
Buote, K., A., Christopher, A., Ames-Sikora, A. M. & Tully, E. C. (April, 2018). Children’s Remorse is Maladaptive in the Context of Mother’s Over-Reactive Discipline. Poster presented at the Georgia State University Research Conference, Atlanta, GA.
Buote, K., Green, M. & Tully, E. C. (October, 2017). Children’s Prosocial Behavior toward Mothers is Associated with Perceptions of Interpersonal Responsibility. Poster presented at the Psychology Undergraduate Research Conference at GSU, Atlanta, GA.
Buote, K., Booher, C. E. & Tully, E. C. (April, 2017). Attention Bias as a Predictor of Depression in Preschool Aged Children. Poster presented at the Georgia State University Research Conference, Atlanta, GA.
Estes, M. E., Gray, J., M., Tully, E. C. (October, 2016). Children’s Emotion Regulation Moderates the Association between Mother’s Depression and Happy Attention Biases. Poster presented at the Psychology Undergraduate Research Conference at GSU, Atlanta, GA. Awarded first place for poster presentation. Vogt, S., Gray, J. M., & Tully, E. C. (April, 2016). High and Low Heart Rate Variability are Associated with Negative Attributional Style. 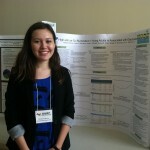 Paper presented at the Georgia Undergraduate Research in Psychology Conference. Kennesaw, GA.
Mason, A. E., Faro, T., & Tully, E. C. (April, 2016). Associations between College Students’ Hope and Happiness and the Hope and Happiness of their Parents. Poster presentation at the Georgia State Undergraduate Research Conference, Atlanta, GA.
Johnson, D. J., Garcia., S. E., & Tully, E. C. (April, 2016). Young Adults’ Empathy and its Association with Parents’ Empathy and Depression. 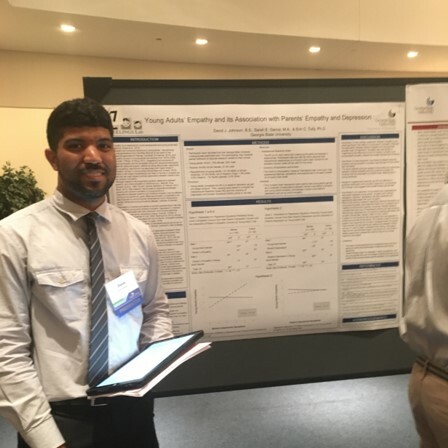 Poster presentation at the Georgia State Undergraduate Research Conference, Atlanta, GA.
Abdulla, S., Pinkman, K., Vogt, S. E., & Tully, E. C. (April, 2016). Problem Drinking in Female College Students is Associated with Paternal Factors. Poster presentation at the Georgia State Undergraduate Research Conference, Atlanta, GA.
Warga, R. L., Mason, A. E., Gray, J. M., & Tully, E. C. (October, 2015). Parents’ Emotions Provoke Changes in Children’s Physiological Emotion Regulation. Poster presentation at the Psychology Undergraduate Research Conference at GSU, Atlanta, GA.
Faro, T. K., Garcia, S. E., Gutierrez, M. & Tully, E. C. (October, 2015). Children’s Greater Interest in Others’ Happiness is Associated with Lower Aggression. 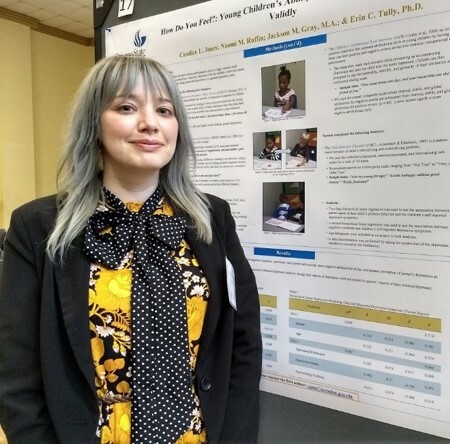 Poster presentation at the Psychology Undergraduate Research Conference at GSU, Atlanta, GA.
Gutierrez, M., Barranco, J. D., Kennedy, J. C., Ames, A. M., Donohue, M. R., & Tully, E. C. (April, 2015). High and Low Co-Rumination are Associated with Depression in Young Adults. Poster presentation at the Georgia Undergraduate Research in Psychology conference, Kennesaw, GA.
Lakhani, K., Garcia, S. E., & Tully, E. C. (April, 2015). Young Children’s Self-Regulation in Response to Parents’ Happiness. 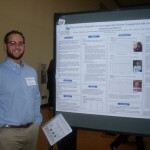 Poster presentation at the Georgia State Undergraduate Research Conference, Atlanta, GA.
Vogt, S., Arnold, B., Ames, A., Donohue, M. R., & Tully, E. C. (April, 2015). Associations between Positive and Negative Affect and Emotion Regulation Strategies. Poster presentation at the Georgia State Undergraduate Research Conference, Atlanta, GA.
Barranco, J., Kennedy, J., Gardner, C., Garcia, S. E., & Tully, E. C. (October, 2014). Poor emotion regulation is associated with greater engagement with angry interpersonal stimuli. 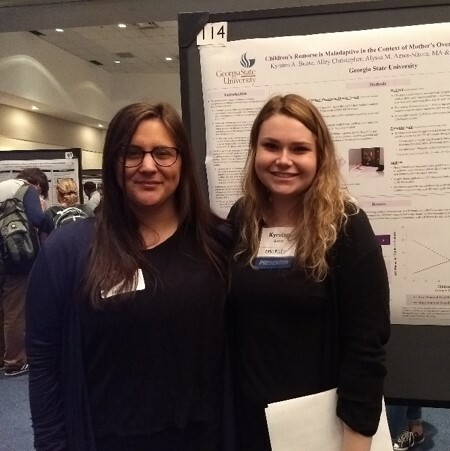 Poster presented at the Psychology Undergraduate Research Conference at GSU, Atlanta, GA.
Vogt, S., Arnold, B., Griggers, W. Donohue, M. R., & Tully, E. C. (October, 2014). Internalizing symptoms predict children’s vagal tone while observing their parents’ anger. 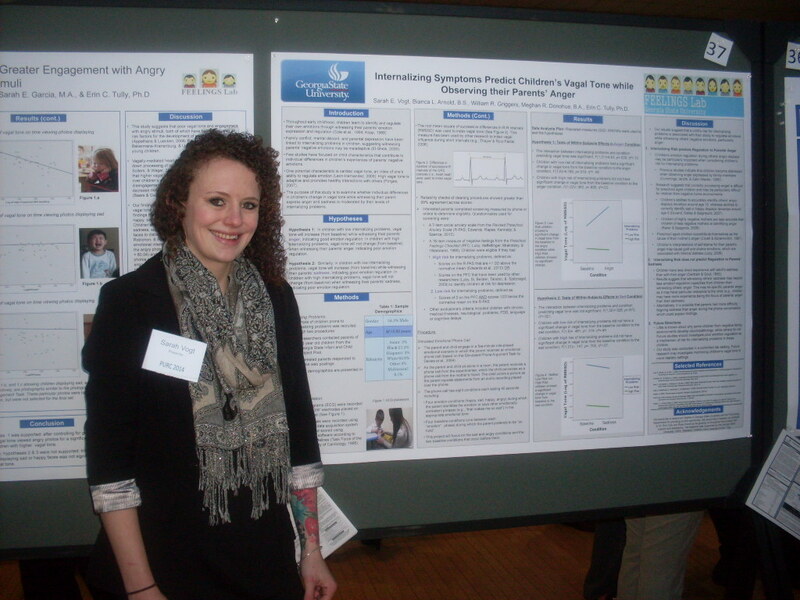 Poster presented at the Psychology Undergraduate Research Conference at GSU, Atlanta, GA. Awarded second place for poster presentation. Lakhani, K., Gray, J. M., Gutierrez, M., & Tully, E. C. (October, 2014). Empathic sensitivity predicts elevated depression in the context of poor parent-child relationships. Poster presented at the Psychology Undergraduate Research Conference at GSU, Atlanta, GA.
Hooks, C., Ames, A., & Tully, E. C. (April, 2014). The Relationship between Individuals’ Levels of Depression and their Ratings of Valence and Arousal of Emotionally Evocative Photos. Poster presented at the Atlanta University Center Psychology Research Day, Atlanta, GA. Awarded first place for poster presentation. Reed, K. G., Swanson, A. B., Donohue, M.R, & Tully, E. C. (October, 2013). Associations between Children’s Perceptions of their Parent’s Sadness and Children’s Emotions and Prosocial Behaviors. Poster presented at the Psychology Undergraduate Research Conference at GSU, Atlanta, GA.
Chowdhury, K., Gutierrez, M., Ames, A. M., & Tully, E. C. (October, 2013). Quality of Relationships is a Key Correlate of Suicidality in Young Adults. 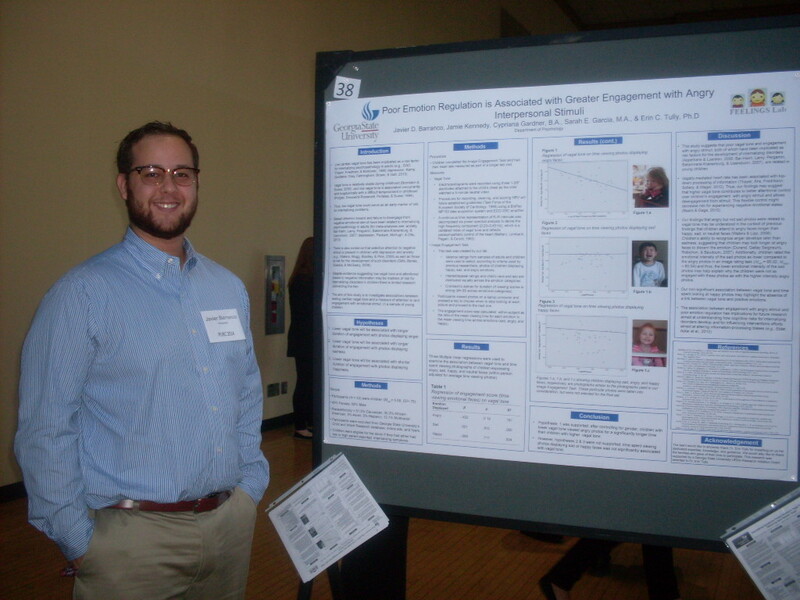 Poster presented at the Psychology Undergraduate Research Conference at GSU, Atlanta, GA.
Voyles, K. M., McGadney, M. A., Ames, A. M., & Tully, E. C. (March, 2013). Associations between Empathy and Social Anxiety in Young Adults. Poster presented at the Georgia State Undergraduate Research Conference, Atlanta, GA.
Mandavia, A., Masuda, A., Tully, E. C. (March, 2013). The Role of Psychological Inflexibility and Mindfulness in Somatization, Depression, and Anxiety among Non-clinical Asian Americans. Poster presented at the Georgia State Undergraduate Research Conference, Atlanta, GA.
Clark, M. & Tully, E. C. (July, 2012). The Influence of Coping Strategy on Alcohol Use Among College Students. 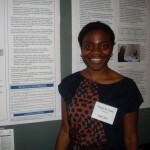 Morehouse College McNair Program Research Day, Atlanta, GA.
Hollingsworth, D. & Tully, E. C. (April, 2012). Quality of Interpersonal Relationships, Depression, and Suicide in Young Adults. Oral presentation at the Atlanta University Center Psychology Research Day, Atlanta, GA. Awarded second place for oral presentation. Belen, D., Ramsay, A., & Tully, E. C. (March, 2012). Quality of Relationships and Alcohol Dependence in Young Adults. Poster presented at the Georgia State Undergraduate Research Conference, Atlanta, GA. Published in GSU’s Honors College undergraduate research journal, Discovery. Harrison, K, Nipper, T. & Tully, E. C. (March, 2012). Correlates of College Students’ Depression: Mindfulness, Parental Depression, and Parental Mindfulness. Poster presented at the Georgia State Undergraduate Research Conference, Atlanta, GA.
Miller, R. M., Tully, E. C., & Tone, E. B. (October, 2011). Exploratory Analysis of Mean Emotion Intensity Ratings of Facial Expressions of Black and White, Male and Female Models. Poster presented at the Psychology Undergraduate Research Conference at GSU, Atlanta, GA. Poster a finalist for a diversity poster award. Hollingsworth, D., & Tully, E. C. (March, 2011). Interactive Behavior and Internalizing Problems among Young Children of Depressed and Non-depressed Mothers. Poster presented at the 34th Annual Convention of the Behavioral Sciences – Psi Chi International Honor Society, Athens, Georgia. Awarded first place for undergraduate presentation. Harrison, K. & Tully, E. C. (October, 2010). Associations between Affective Dysregulation and Internalizing in Children of Depressed and Nondepressed Mothers. Poster presented at the Psychology Undergraduate Research Conference, Atlanta, Georgia. Belen, D. & Tully, E. C. (October, 2010). Gender Differences in Children’s Responses to Mother’s Emotions. Poster presented at the Psychology Undergraduate Research Conference, Atlanta, Georgia.